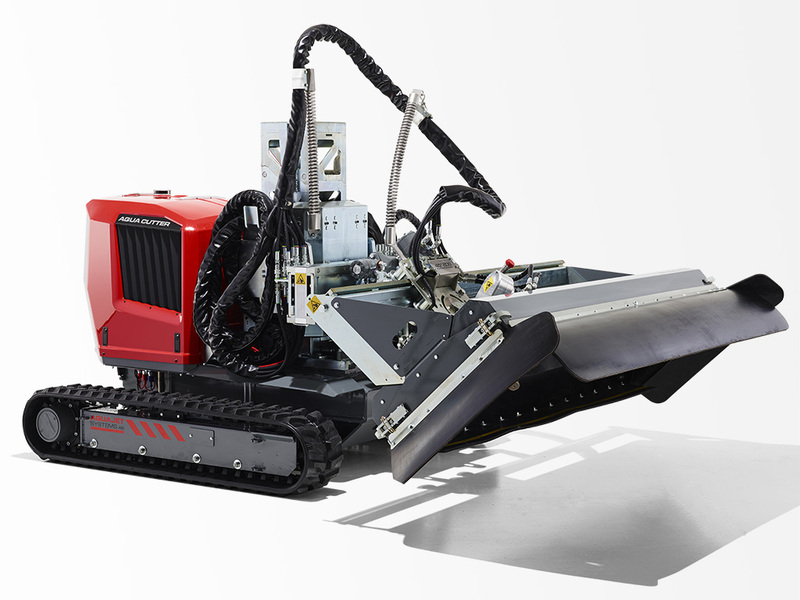 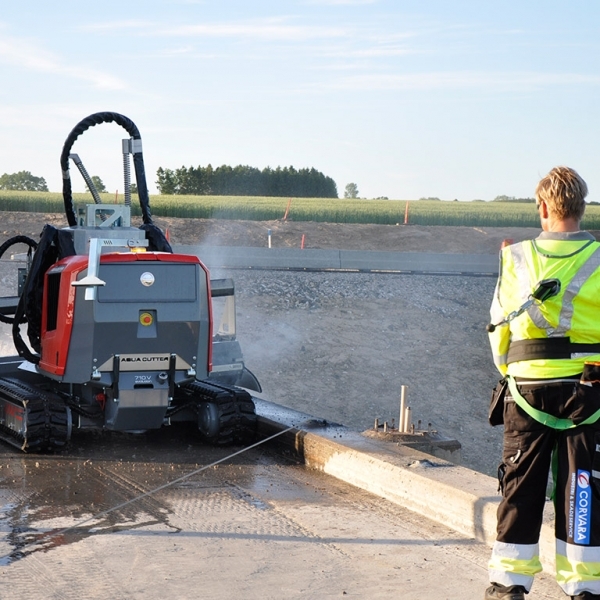 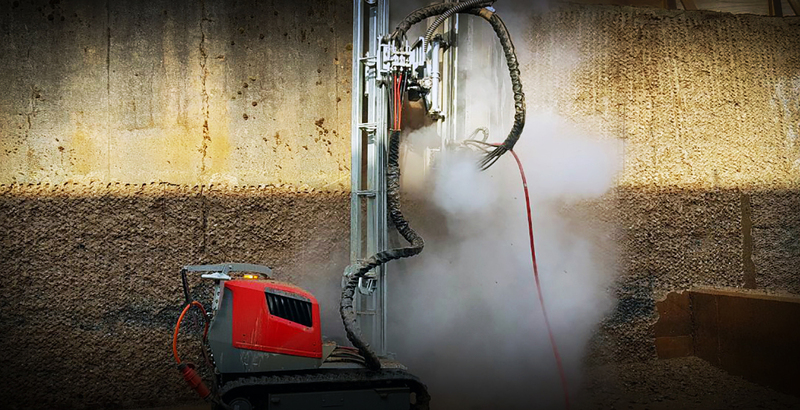 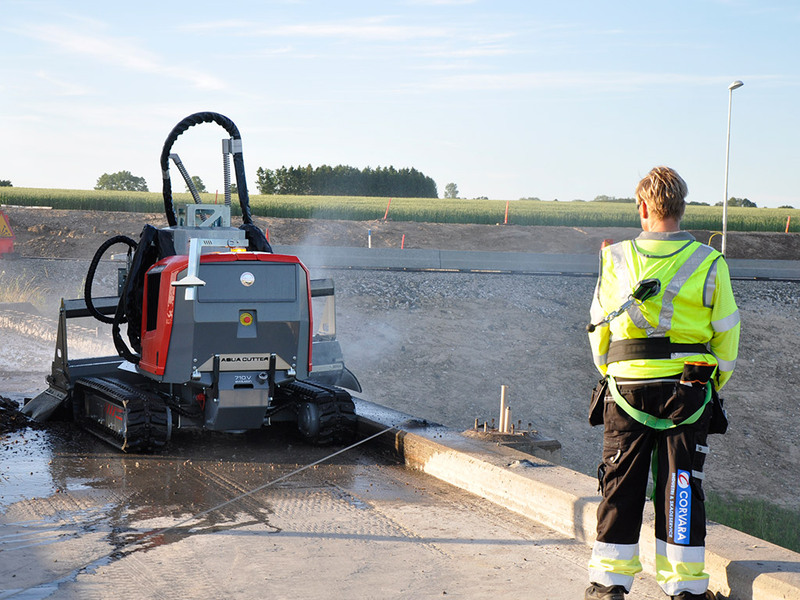 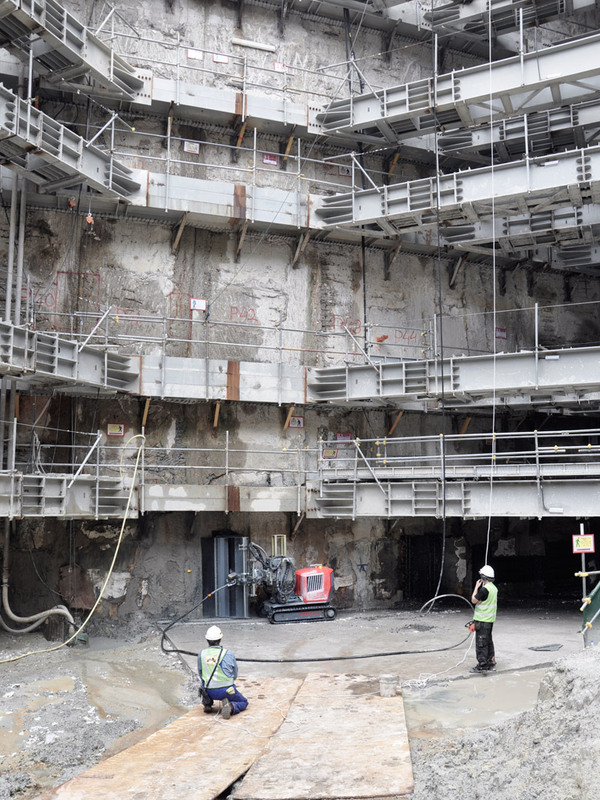 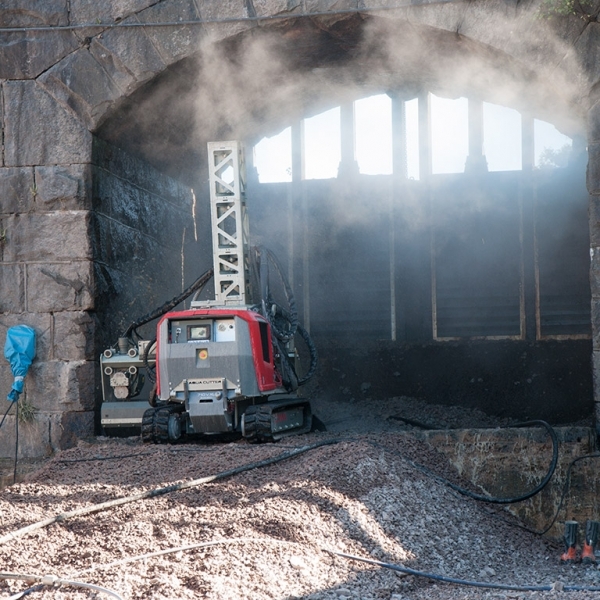 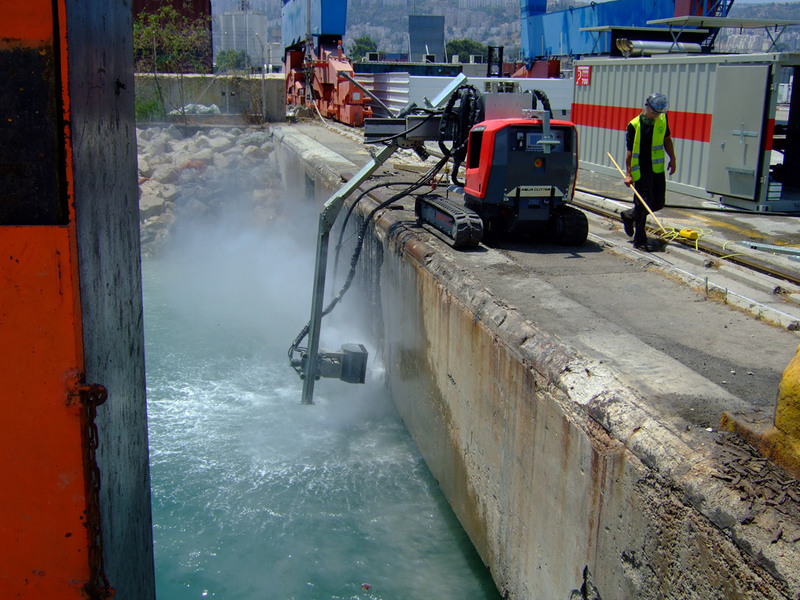 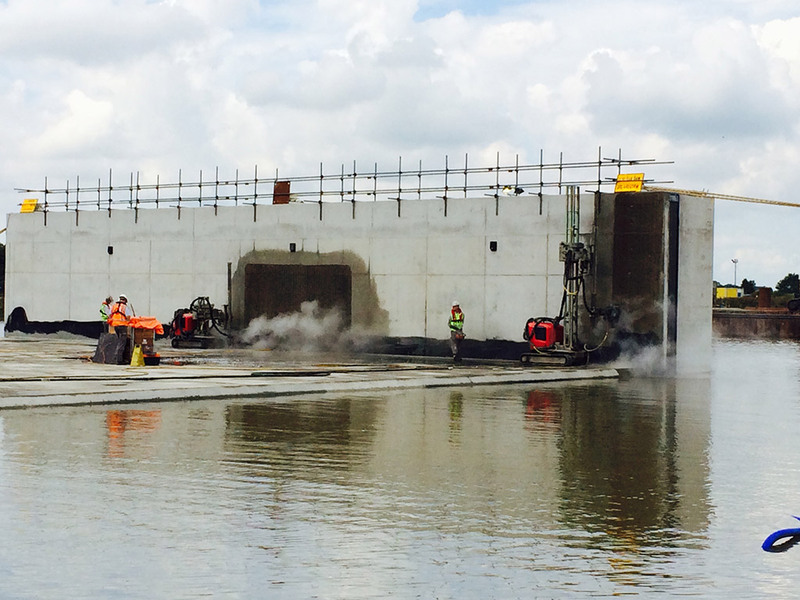 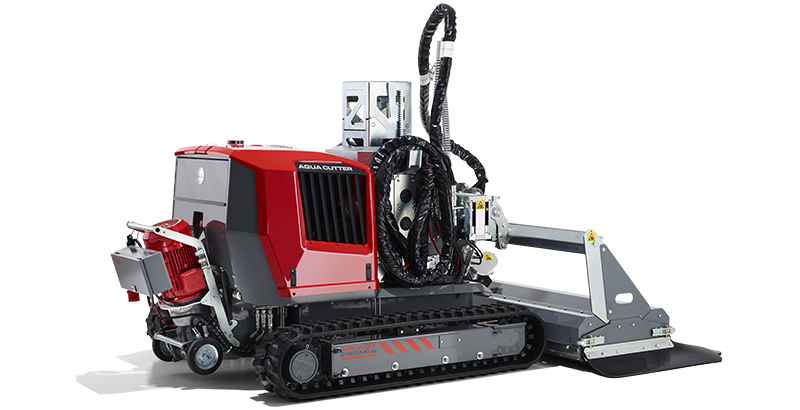 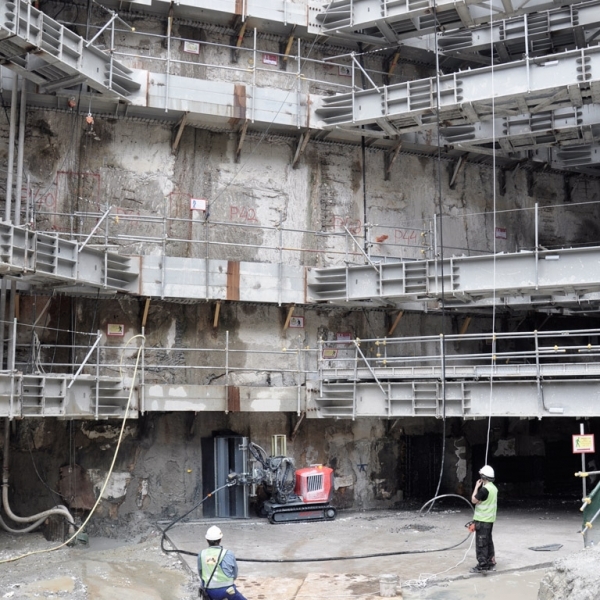 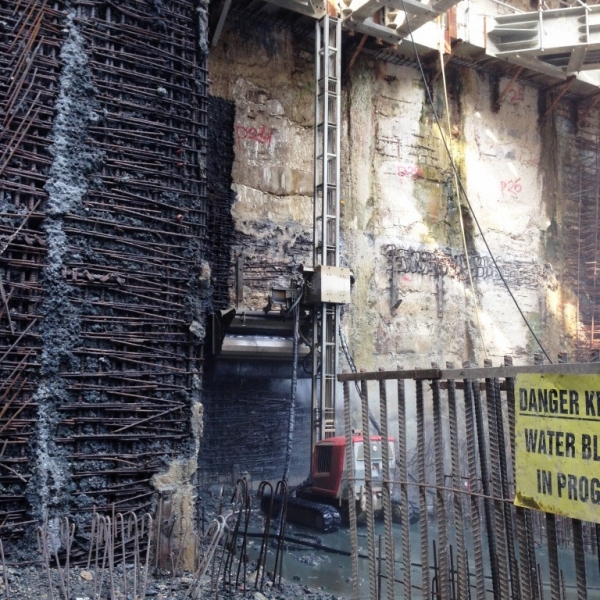 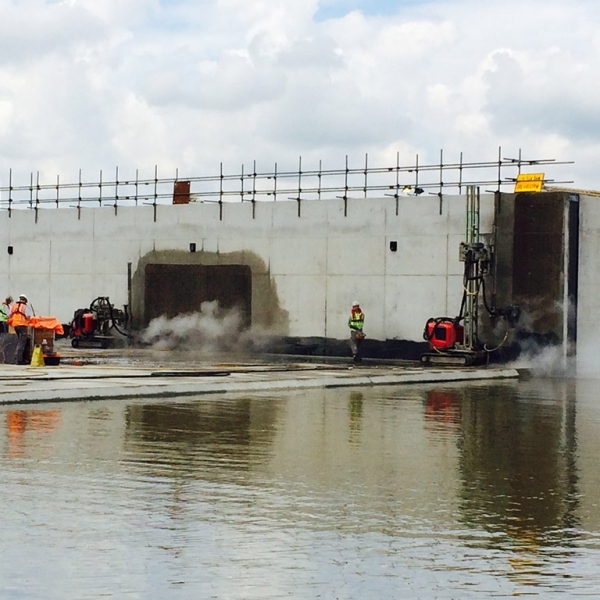 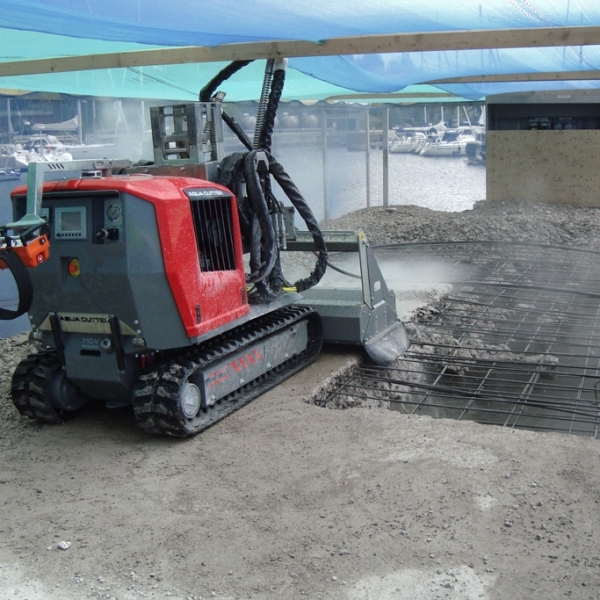 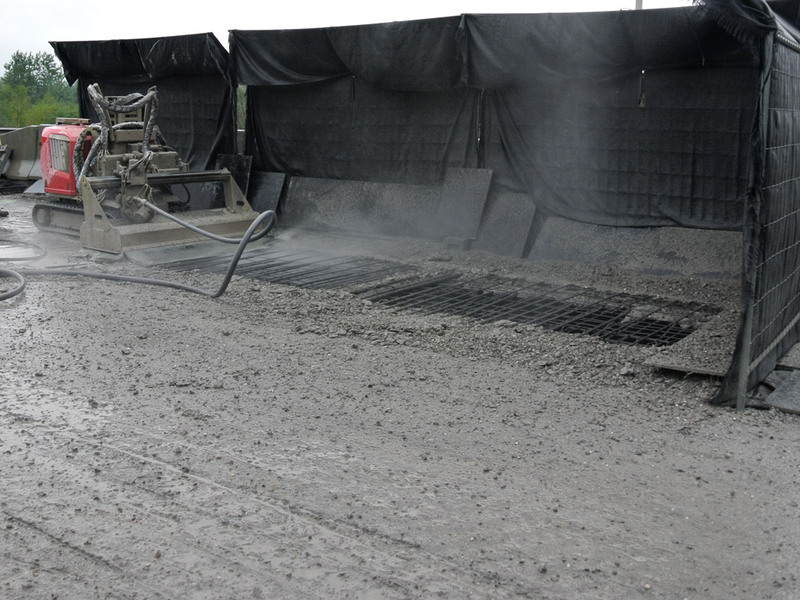 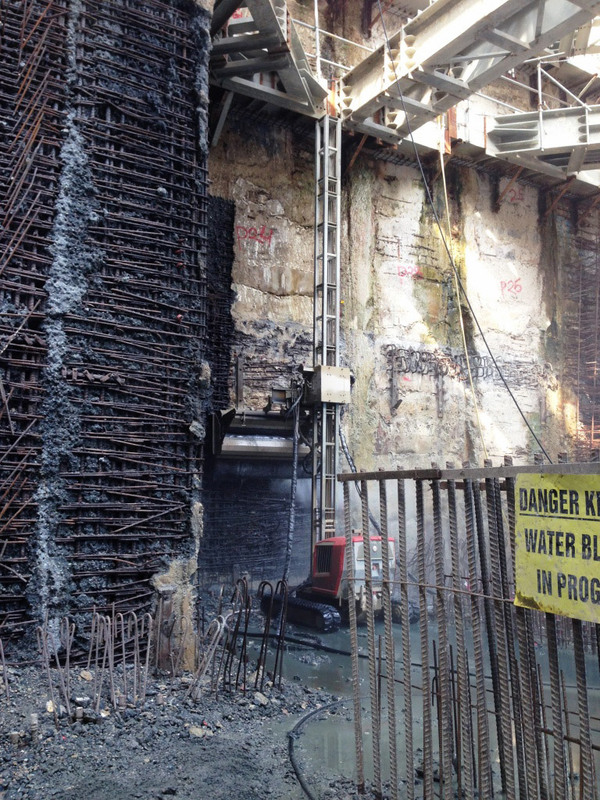 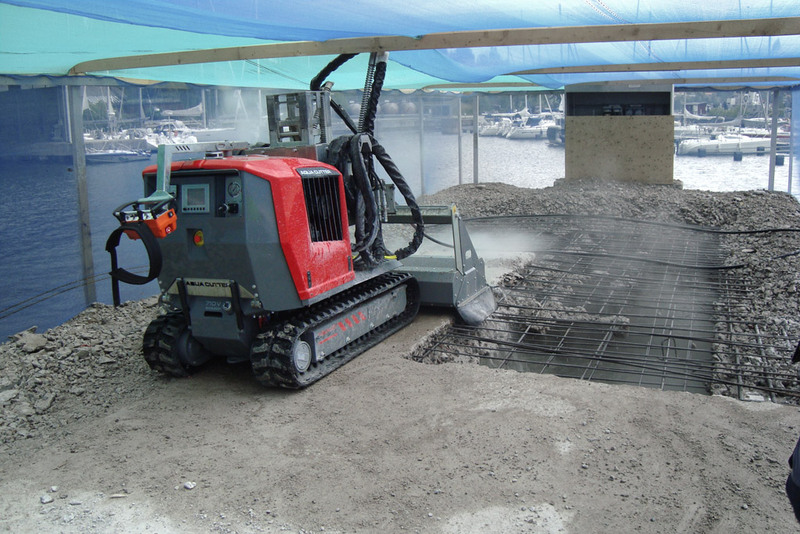 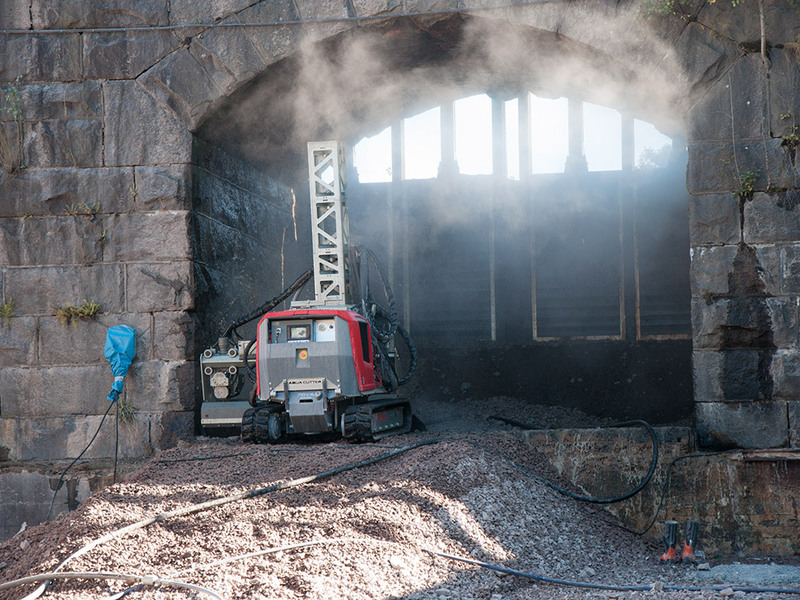 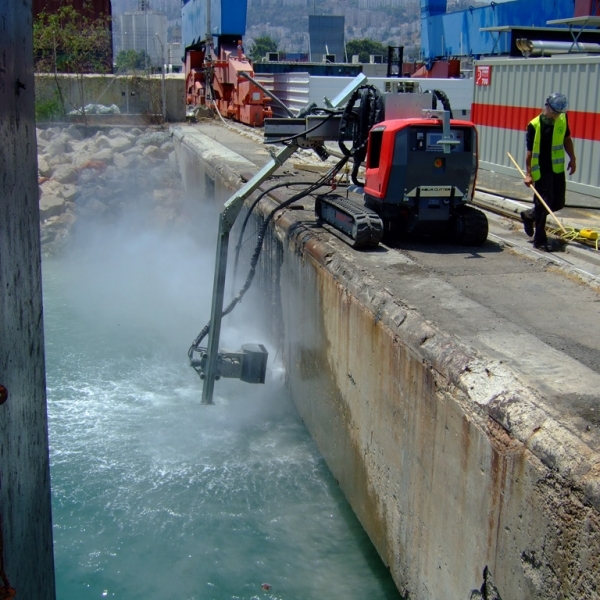 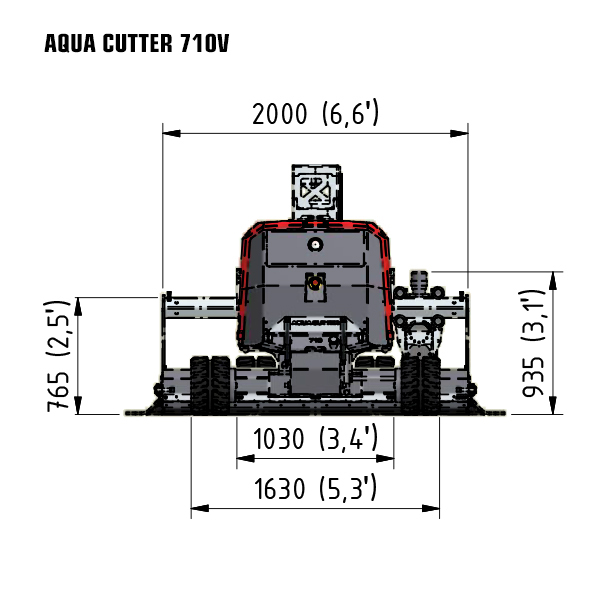 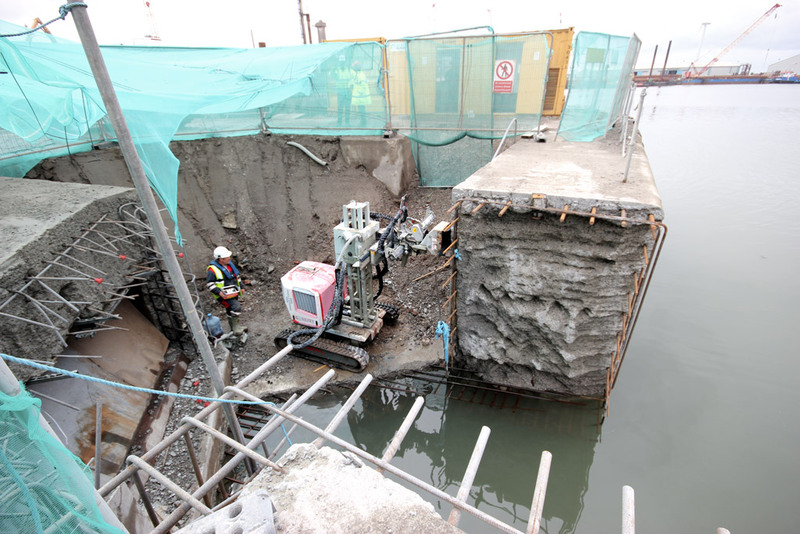 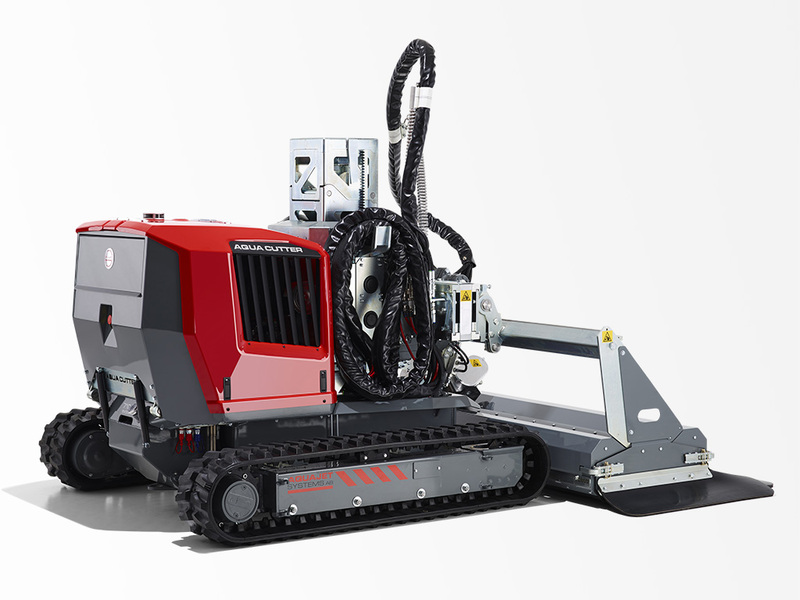 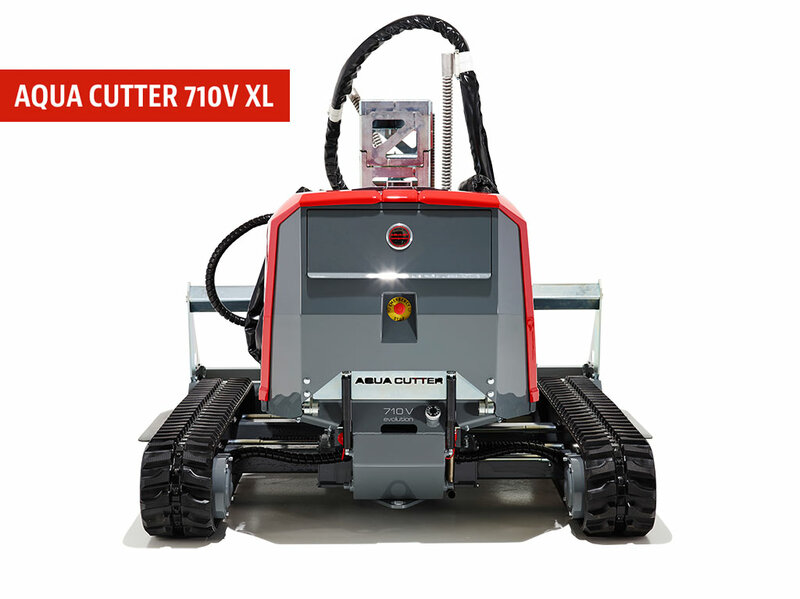 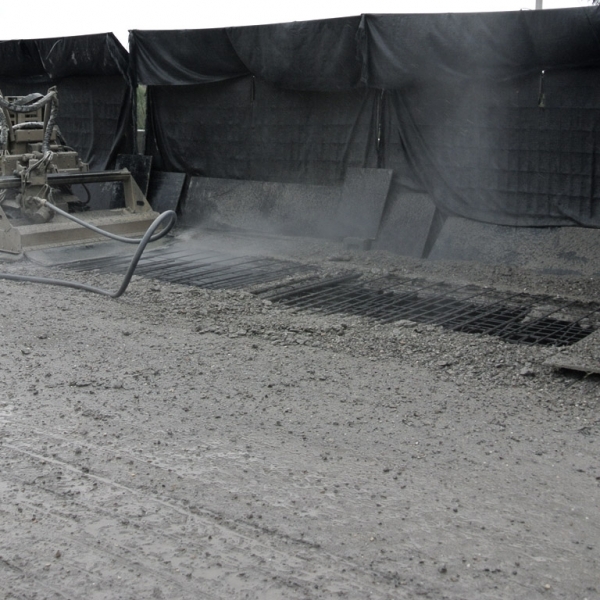 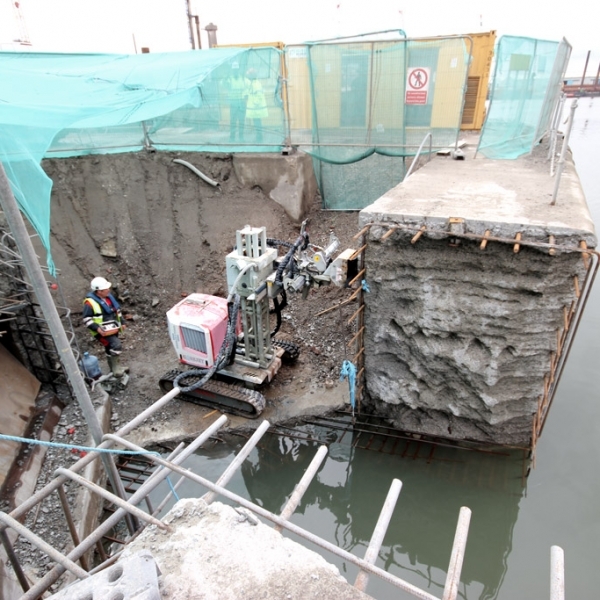 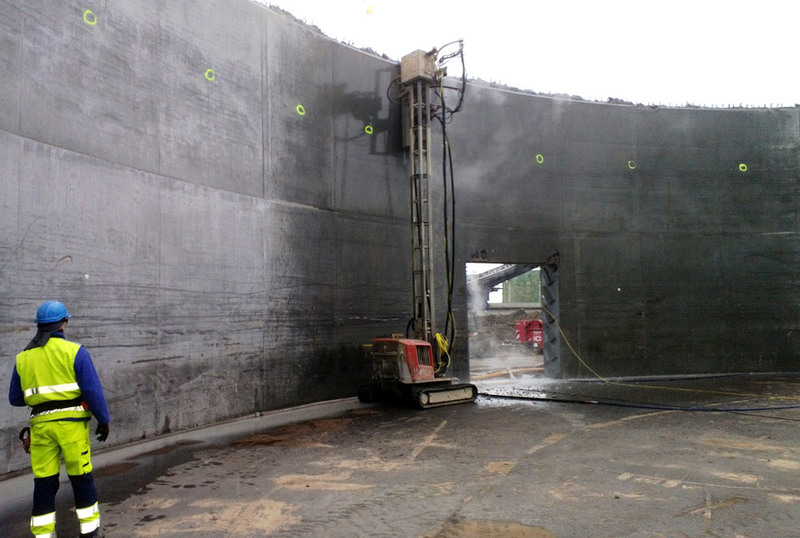 The AQUA CUTTER 710V is the most versatile Hydrodemolition robot on the market, suitable for all kinds of operations. 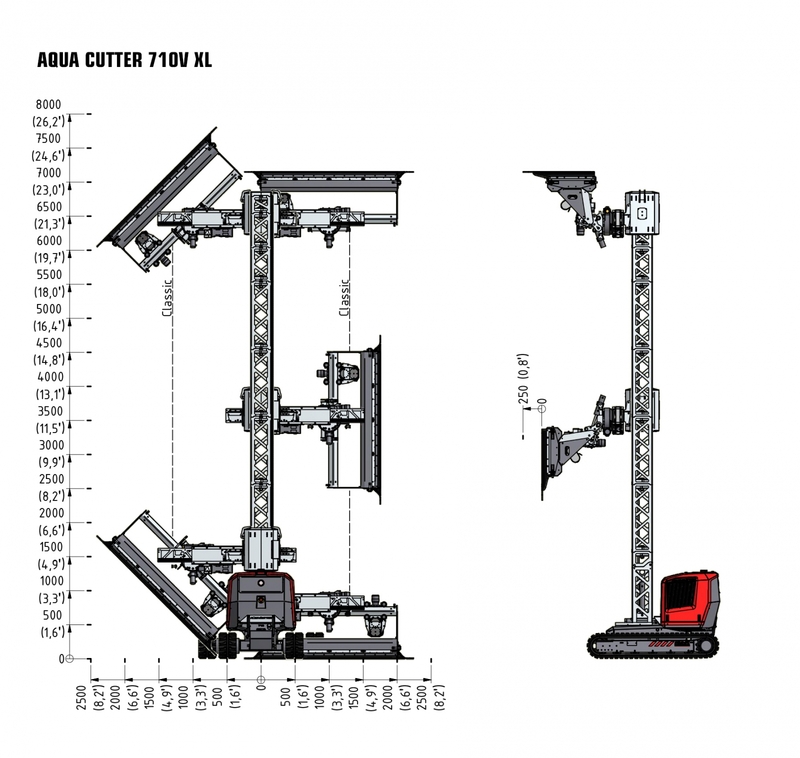 Our innovative design gives the operator freedom to reach all horizontal, vertical and overhead areas up to 7 meters without support. 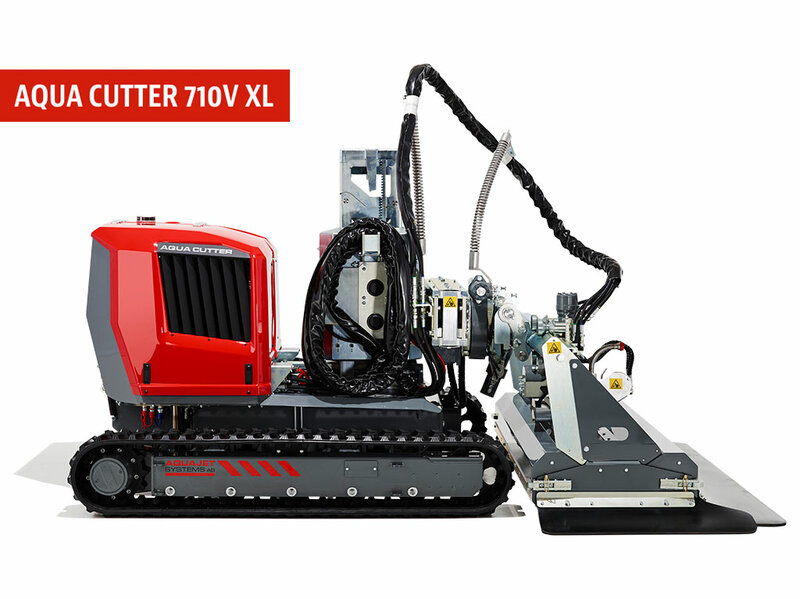 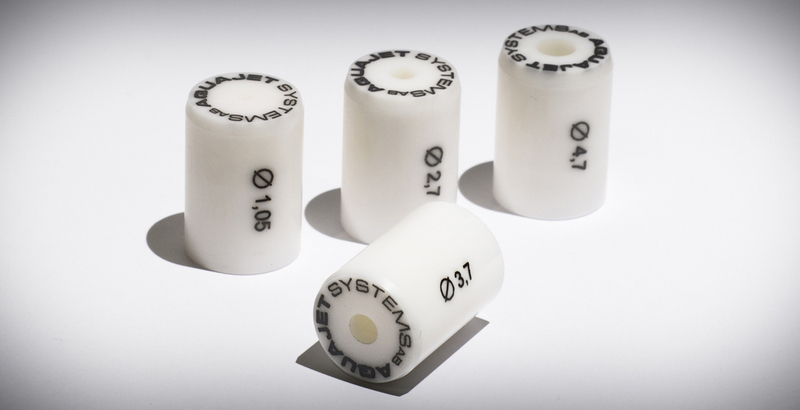 In other words, where most robots fail, the 710V will prevail. 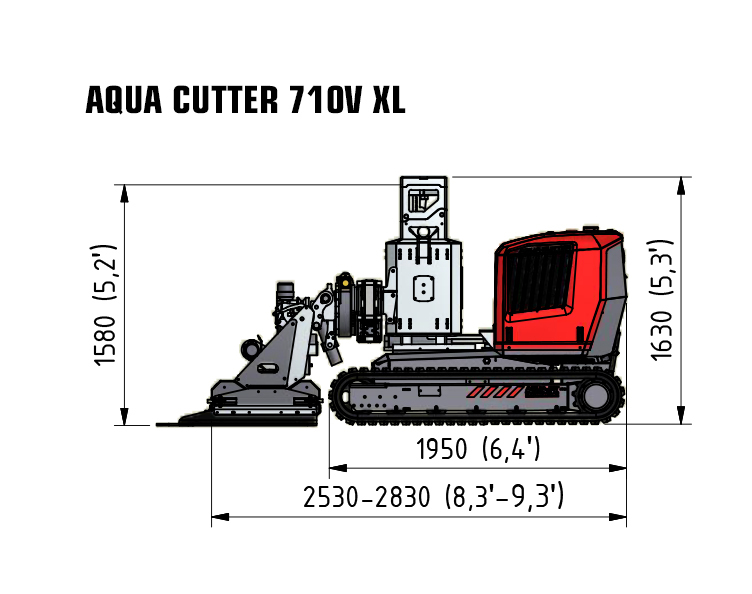 And if that’s not enough, this work of art has a giant sibling – the AQUA CUTTER 710V XL. 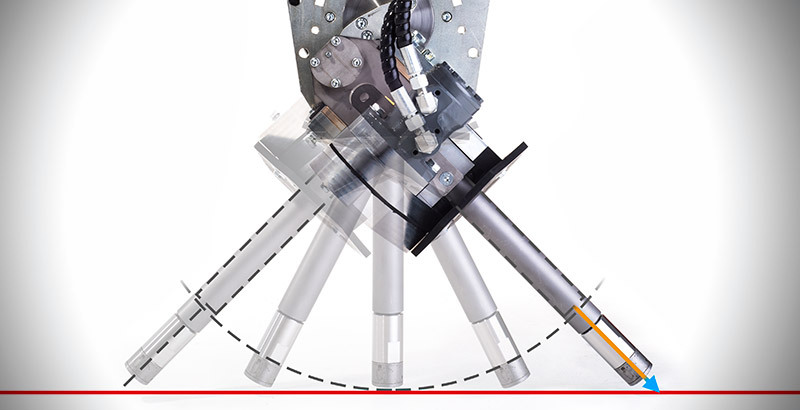 Our unique 3D positioning system can perform wonders. 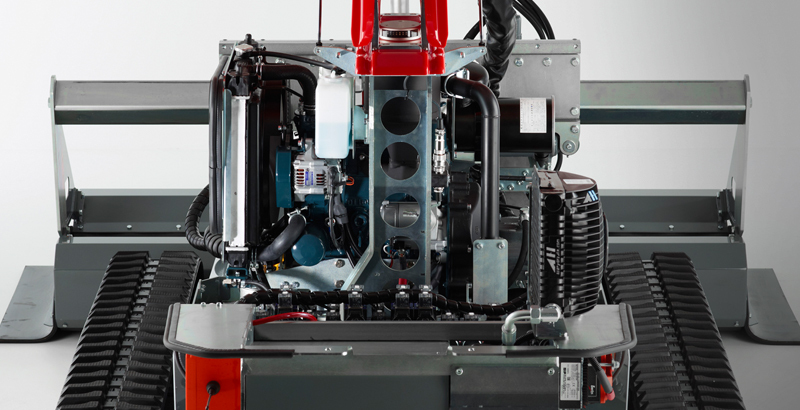 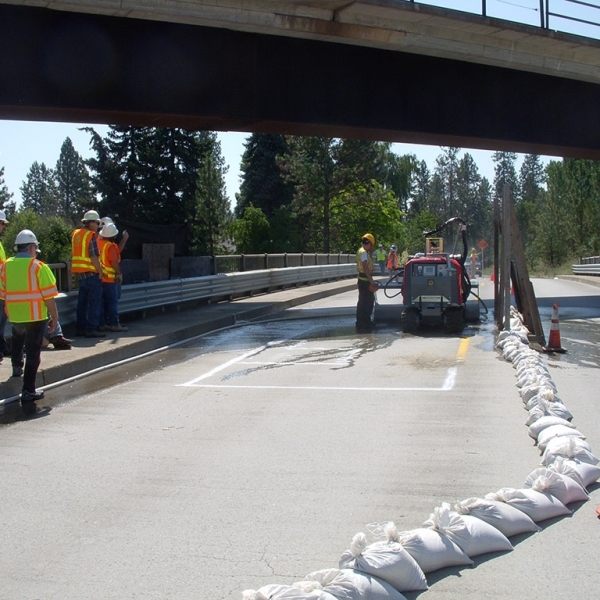 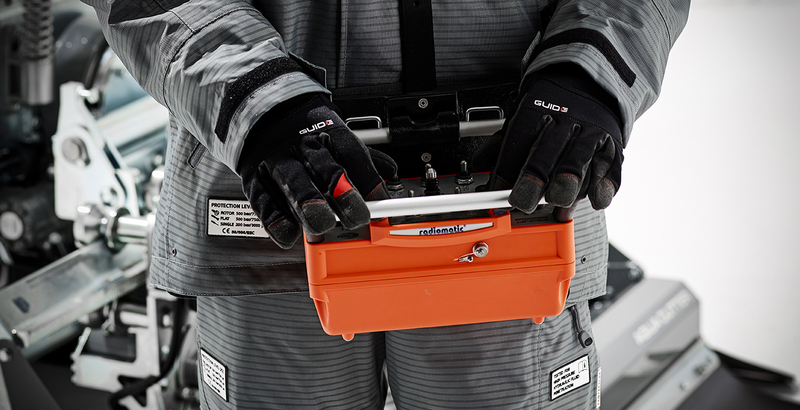 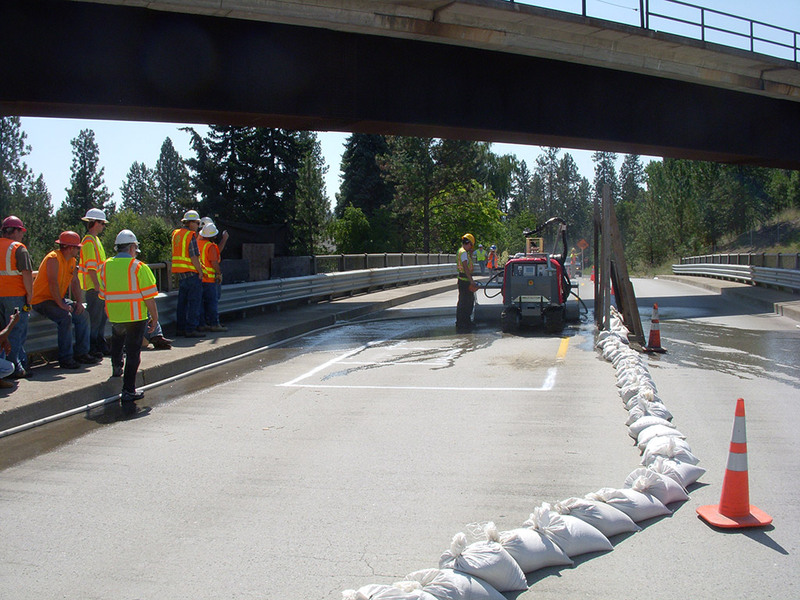 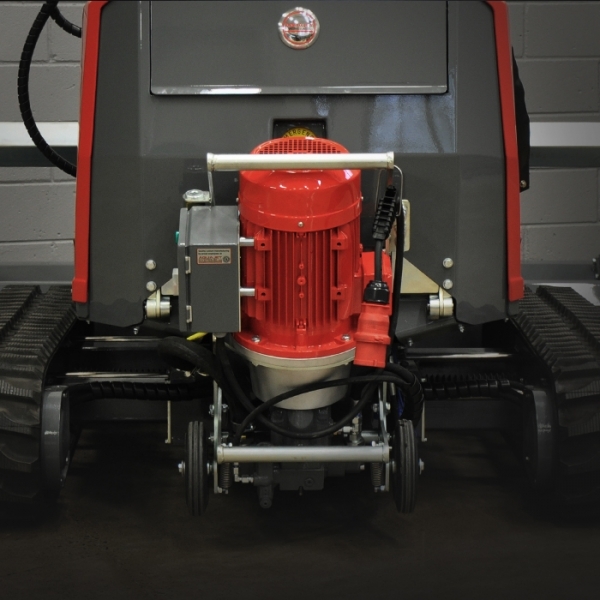 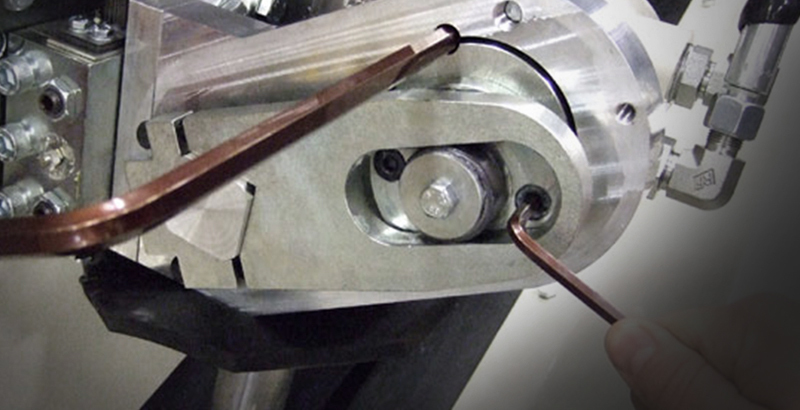 The front power head gives the operator full freedom to efficiently reach all areas. 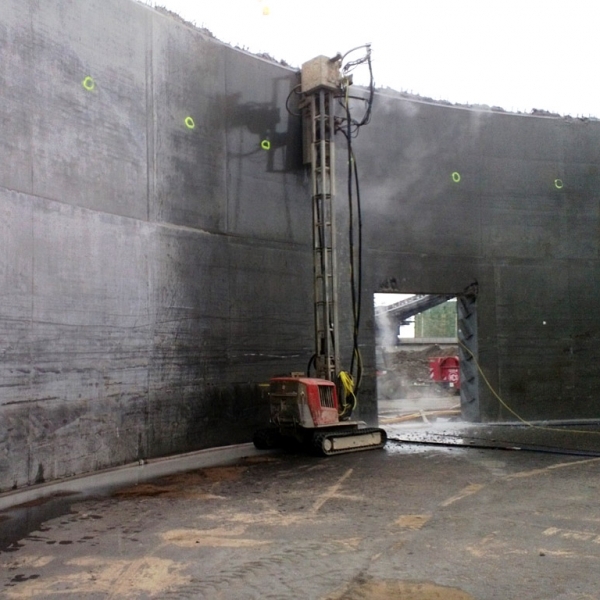 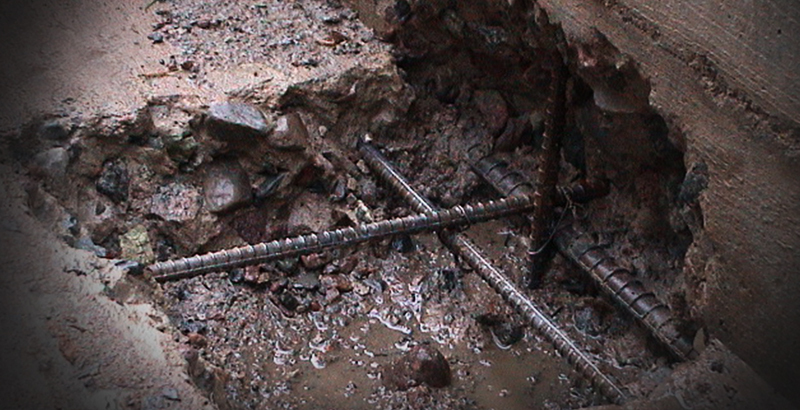 One example is vertical operations along or against the surface. 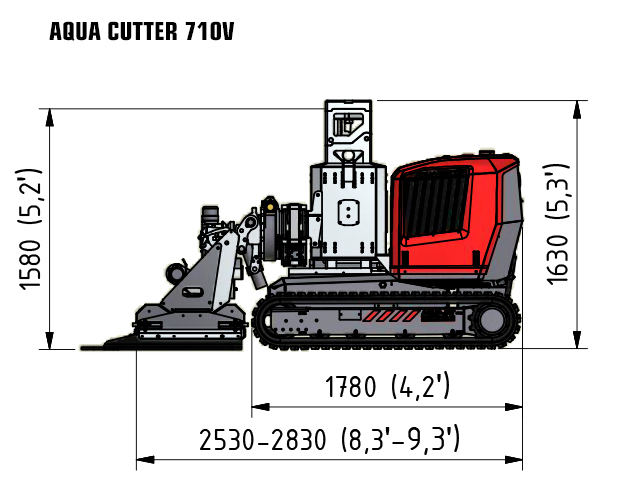 Due to a compact design the AQUA CUTTER 710V can be operated in tight and confined areas, with retained mobility. 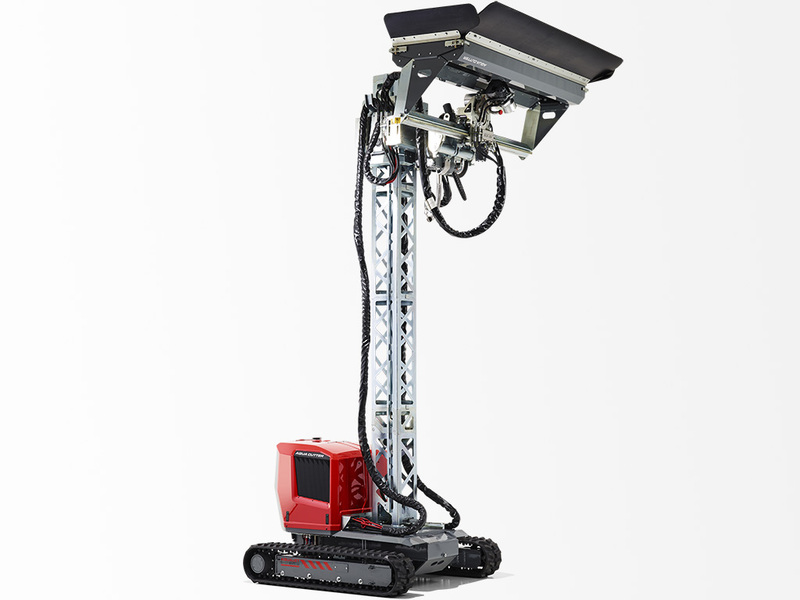 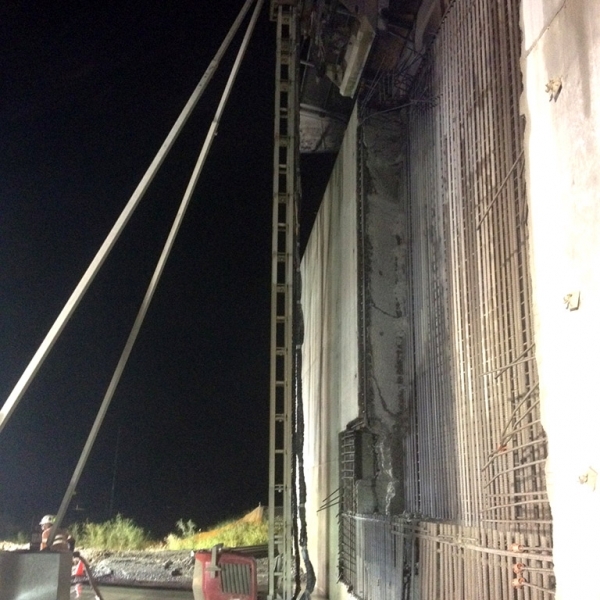 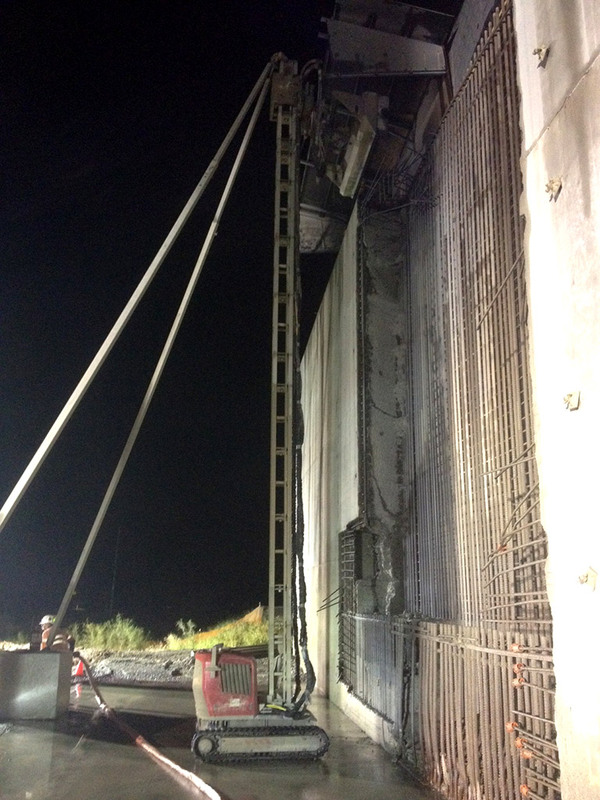 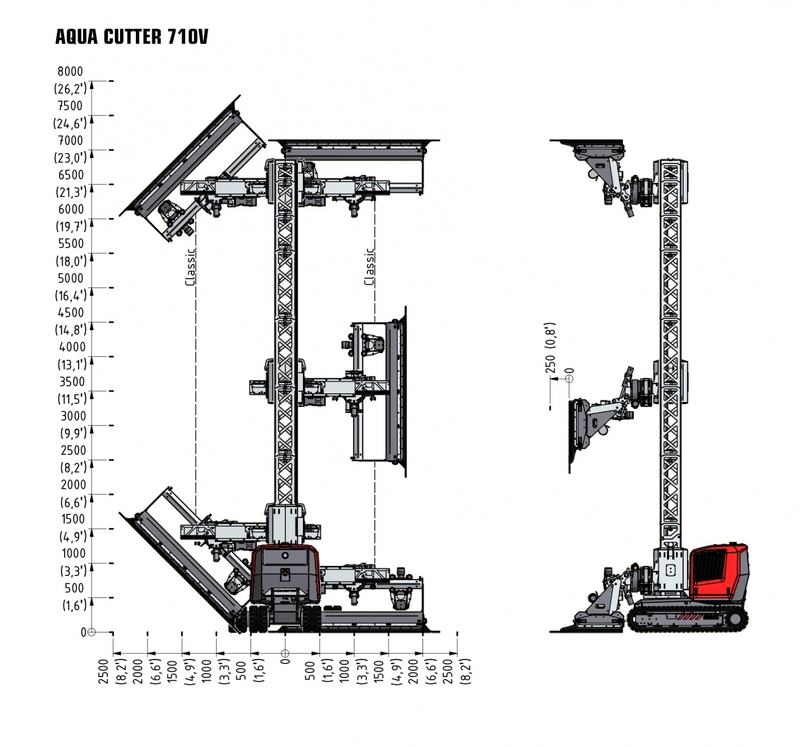 For vertical and overhead operations the 710V has a hydraulically powered steel mast, constructed in sections. 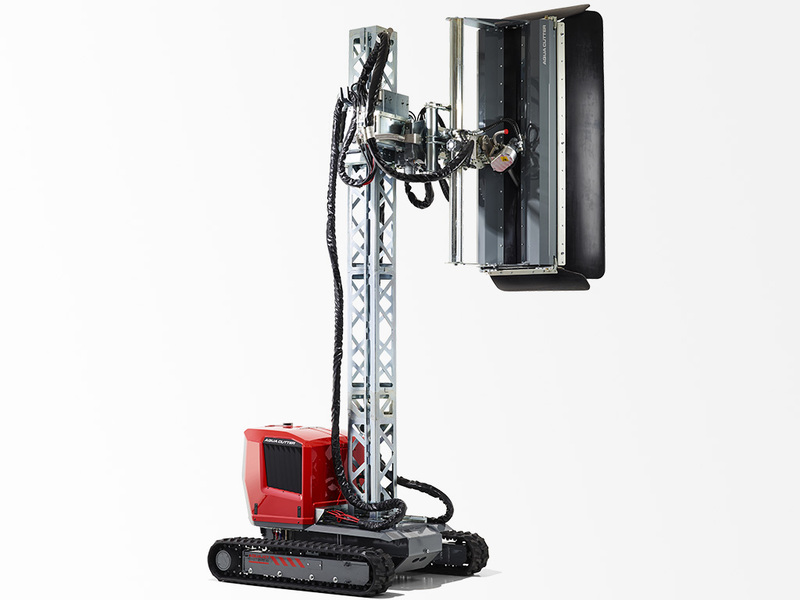 Therefore the robot doesn’t carry any towers or protruding arms. 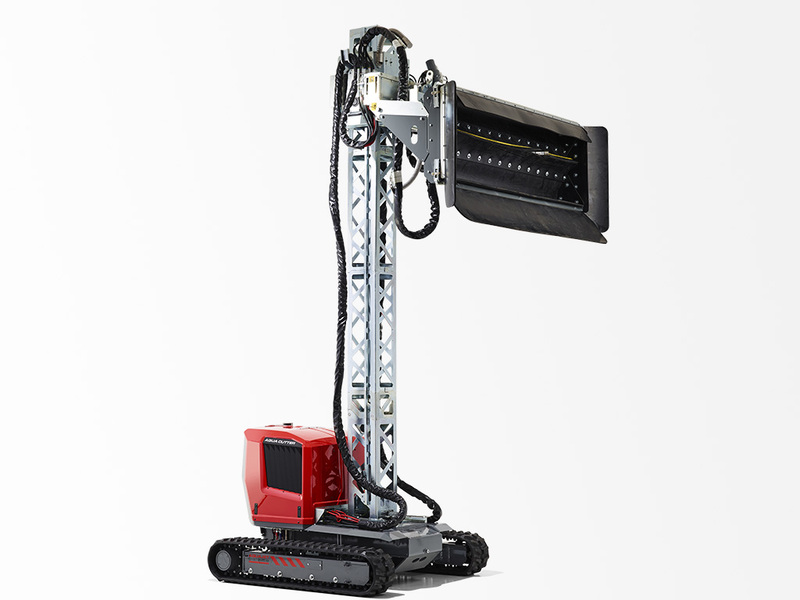 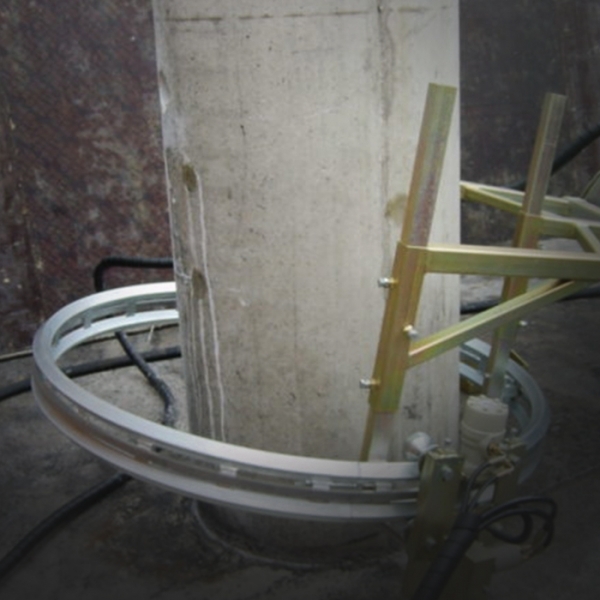 The mast can operate at heights up 7 meters without support, and even more with support. 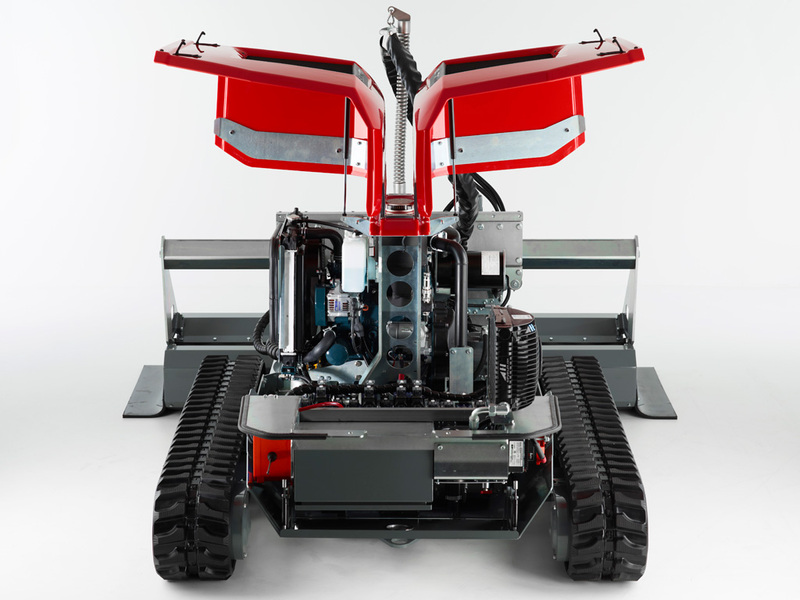 In default mode the robot has as powerful diesel engine. 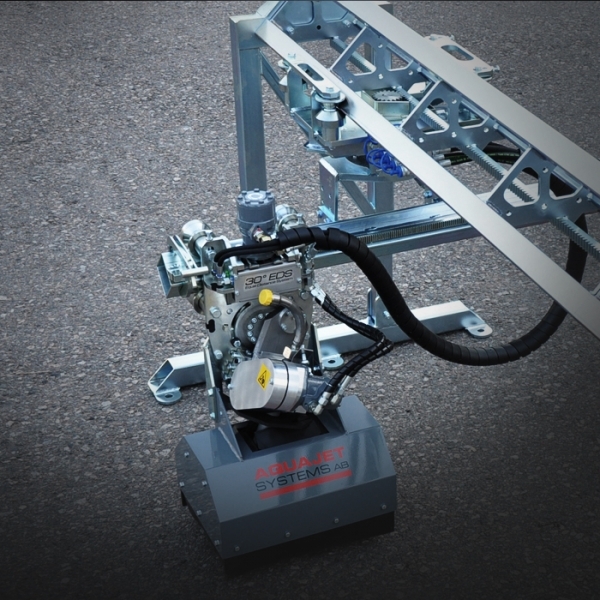 Hybrid drive with an electric motor is optional. 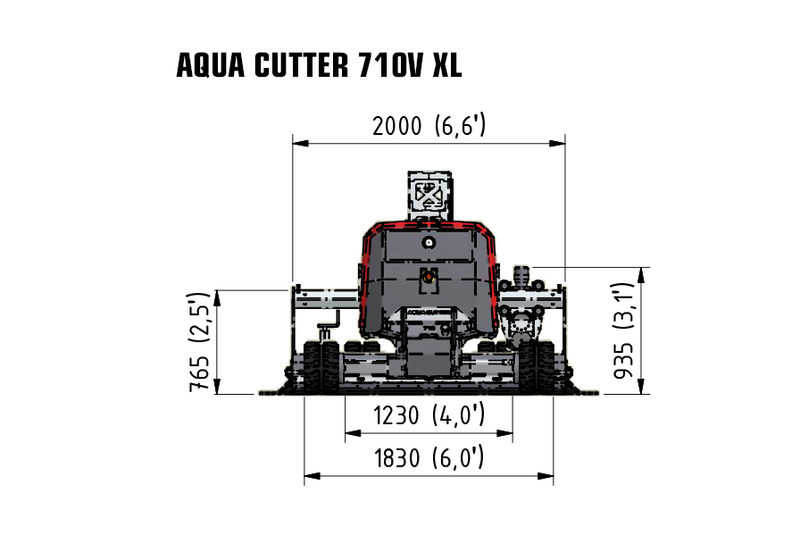 The AQUA CUTTER 710 V XL is the bigfoot version of its renowned sibling. 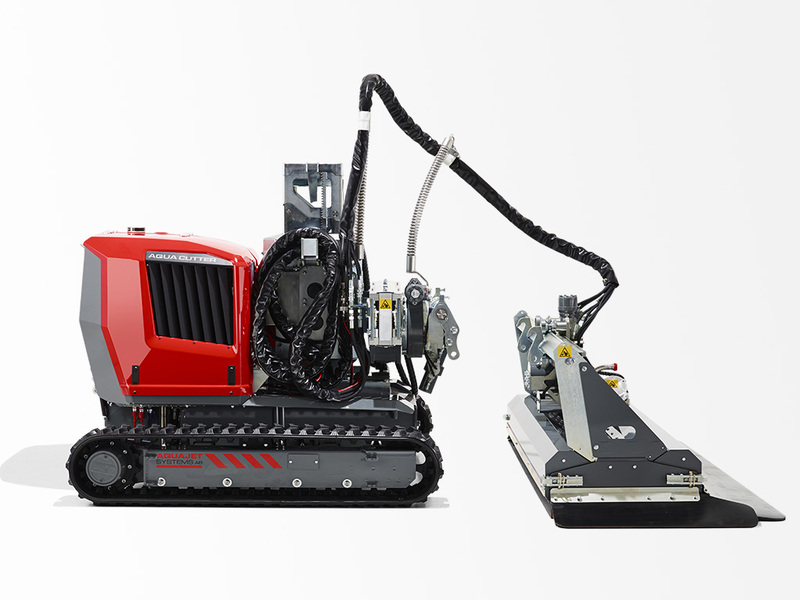 It features a 200 mm wider and 170 mm longer tracks which means that it can handle more reaction force and has less weight per square meter. 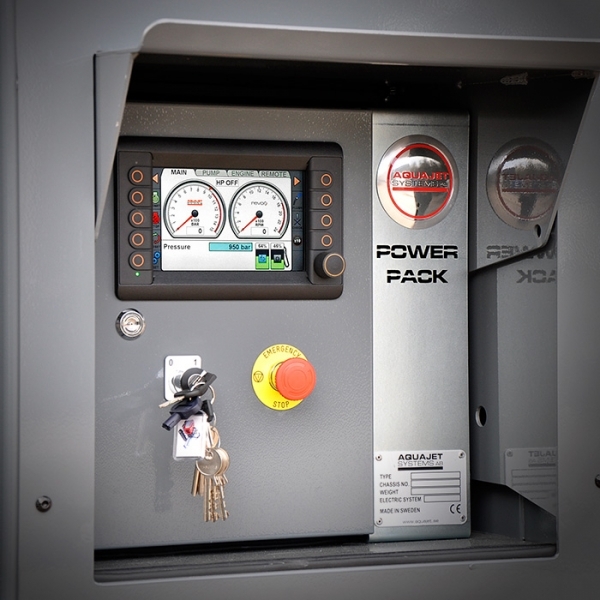 hybrid kit is a powerful ally where a diesel engine is not allowed or appropriate, such as parking garages and inside of other buildings in urban environments. 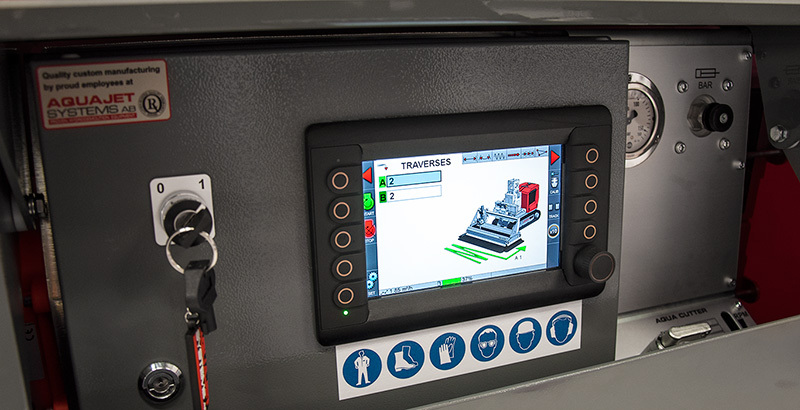 It’s very easy to attach and uses an intelligent system to automatically disengage the on board diesel engine.